It's bath time for Phoebe again! She's a pretty active dog and loves to explore the outdoors. Dirt, mud, and grime easily get lodged in her wavy white fur, which means frequent bathing! Phoebe isn't always too happy about that, and I worry about bathing her too often. Frequent bathing with most shampoos for dogs can really dry out their skin. With dry skin comes itching and scratching, which can lead to "hot spots", sores, and infections. I think my frequent dog shampooing worries are over though! I just tried a great dog shampoo, BVH Premium Dog Shampoo and Conditioner. It contains all natural ingredients with no harsh chemicals, so I can bathe Phoebe as often as I want without worrying about irritating her skin! It's a safe and gentle formula that cleans, conditions, moisturizes and deodorizes your dog's fur. I'm so happy about that deodorizing part because Phoebe has a habit of rolling in all kinds of "stuff" we encounter on our walks and hikes! 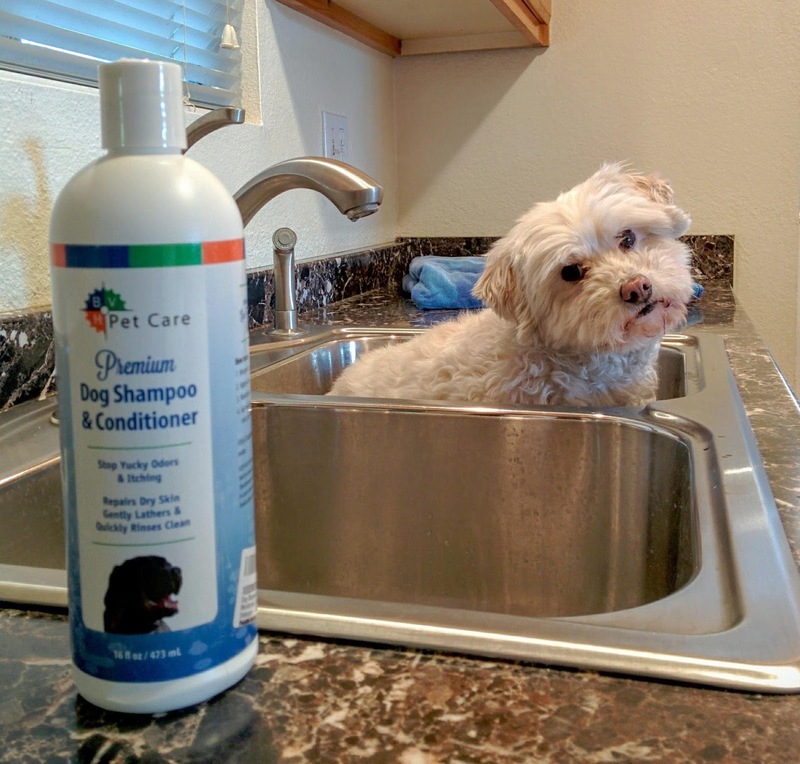 BVH Pet Care Premium Dog Shampoo & Conditioner is Cruelty-Free, Soap-Free, Chemical-Free, and Won't Irritate Or Redden your dog's Skin. It's pH balanced specifically for dogs so it won't cause skin irritation and those nasty rashes, bumps and dry flaky skin. That's IT! 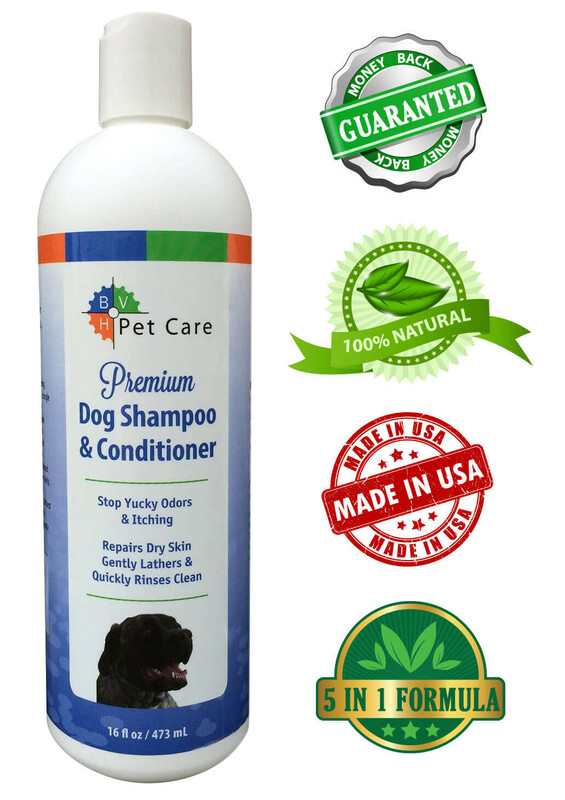 Nothing but gentle, natural ingredients in this dog shampoo and conditioner! The shampoo lathered up beautifully and rinsed off easily. I like that it's not a heavily perfumed shampoo, it has a light clean scent. It contains a moisturizer to replenish the natural oils in dogs' skin, and a fur conditioner to help control mild matting and provide a soft shiny coat. It left Phoebe's fur feeling so soft and easy to comb out. Her fur looked really shiny and bright too! I also expect to clean my dogs ears with an all natural chemical free dog ear cleaner like BVH Pet Care Premium Dog Ear Cleaner. 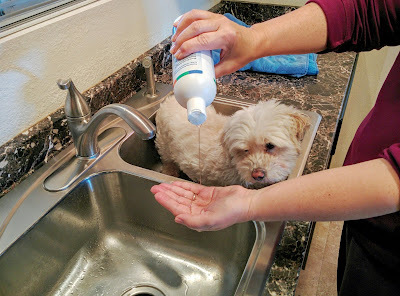 Products that are free of harsh chemicals is important for my dogs' well being! We know you'll love this shampoo, but BVH Pet Care offers a Money Back Guarantee if you are not completely satisfied with their product! BVH Premium Dog Shampoo and Conditioner is For use on dogs 12 weeks and older. This post is sponsored by BVH Pet Care. I am being compensated for helping spread the word about BVH Natural Dog Shampoo and Conditioner, but Dogs Luv Us and We Luv Them only shares information we feel is relevant to our readers! 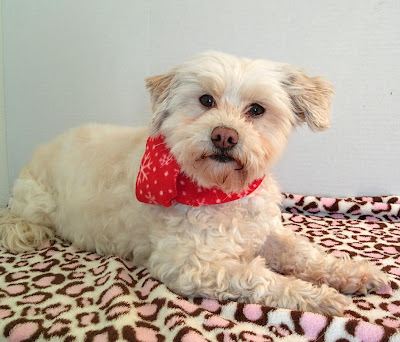 GET SOCIAL WITH BVH Pet Care! Follow them on Facebook and Pinterest! Bathing is a necessary evil, I know, LOL! This really is a great shampoo, I love how it worked on Phoebe's fur. Thanks for visiting us today Lily & Edward! What a result it brought to you! Thanks! I'm so pleased with the results, Phoebe's fur looks great & feels so soft. Thanks for stopping by today! I am so happy that you have discovered BVH shampoo. It is wonderful for frequent bathers. Your results were terrific. Phoebe looks so pretty and it is great that she fits in your sink to bathe. Much easier on your back! LOL! I really love this shampoo! I especially like that its a 2in1 shampoo with a great conditioner in it. Phoebe's fur feels soft & silky and looks bright & shiny! I am happy that Phoebe fits in the sink, its much easier! Thanks so much for visiting us today M.K. It's a wonderful product, thanks for stopping by Nola! It is, Phoebe's fur was so clean and soft afterwards! Thanks for stopping by Jenna! Thanks for sharing your experience. We like the fact that is is made with natural ingredients and chemical free. We'll have to check it out! Thanks! I love that this company's products are all natural too! Cruelty free and biodegradable our key components of our purchasing decisions - so we will most definitely check this out! Thank you so much for sharing your knowledge! Absolutely! They're really important to me as well. I've never bathed Henrietta at home, but if I was going to this is definitely what I would use! It's really a great shampoo & conditioner! 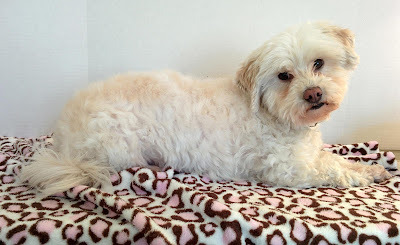 It leaves Phoebe's hair so soft & has prevented her from getting matted! I can batge her easily in the sink & she's pretty good about it. Grooming can get expensive so I bathe her a lot myself. LOL! I love that Phoebe fits in the sink too! It's a great product & si is their dog ear cleaner. Both products are all natural. Thanks Spencer! I love that Phoebe fits in the sink. I wish my Husky could fit in the sink too LOL! Phoebe, don't you just look so pretty and clean! What a beautiful model you are! This sounds like a wonderful product. Now...to get the Huskies in the bathtub! They love their outdoor tub, so we'll to wait to spring, but I wish I could put them in the sink! ;-) Thanks for the great review! Aww, thank you so much! I can bathe Phoebe easily but not my Husky! I will have to try this! We try to shop cruelty-free and I like buying products that are made in the USA. She looks nice and clean. It's a great product, so is their dog ear cleaner. Both are all natural & cruelty free! Sounds good for a bath product - Kilo the Pug hates bathing. I rarely do it as he doesn't get dirty often but I will certainly look for this. It's a wonderful shampoo & conditioned. They also make an ear cleaner. Both products are all natural & cruelty free. Phoebe looks great and handle the bath really well. I don't wash Chuleta super often because her coat is getting more brittle as she ages, but the fact that this also conditions and moisturizers makes me less worried about her coat being stripped of its natural oils. I'm totally into these limited ingredient shampoos for Shermie and this line looks like it has some nice herbal based ingredients - the coconut is interesting, love to try these! Oh, I am definitely going to try this. Like Phoebe, Ruby is a light color and gets dirty fast especially in this muddy winter weather. She also has some skin and allergy issues so I'm always worried about her skin. I love that this shampoo has so few ingredients and of course, that it is cruelty free. How adorable that Phoebe fits in your sink! Ruby is just a little big for that! P.S. : Thank you SO MUCH for your kind words on my Lucas post! This sounds like a wonderful shampoo for dogs. Looks like a great shampoo! White dogs are hard to keep clean! She looks lovely afterwards! She is so adorable being bathed in the sink, and looks a million dollars afterwards! Phoebe looks great! I love that this shampoo is not only cruelty-free, but also made in the US. That is quite unique! Phoebe seems to think is a great product too. She is sitting very nicely in the video. Love the reluctant look! Also like the ingredient list and will look for this shampoo for our sensitive little blonde dog. Thanks. Phoebe, your coat looks amazing after your bath! 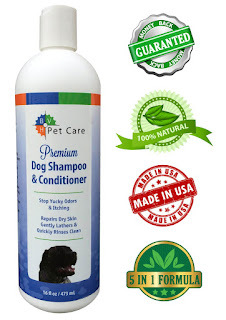 We love that this shampoo replenishes the natural oils in a pet's coat too. Dry and itchy skin isn't any fun! I love that its shampoo and conditioner! You look beautiful, soft and shiny, Phoebe! She looks about the same as Tashi does re getting a bath, lol! Not the favored activity around here. Always happy to hear about cruelty-free products and it has coconutin it too! Such a magical ingredient for the whole dog, great for their skin and coat when fed and when applied directly! Thanks for the post! That shampoo must smell so good! I'm not used to seeing conditioner for dogs, but I imagine it helps keep their skin from getting dry and itchy. The conditioner in this shampoo is fabulous! It does help with itching & it has prevented my dogs matting as well! Thanks so much, I really appreciate that! Thanks for stopping by. It's nice to have a shampoo where you can bathe frequently! Especially when you have a dog who loves mud...like me! Wordless Wednesday: DON'T HATE ME! Black & White Sunday: Almost Home!